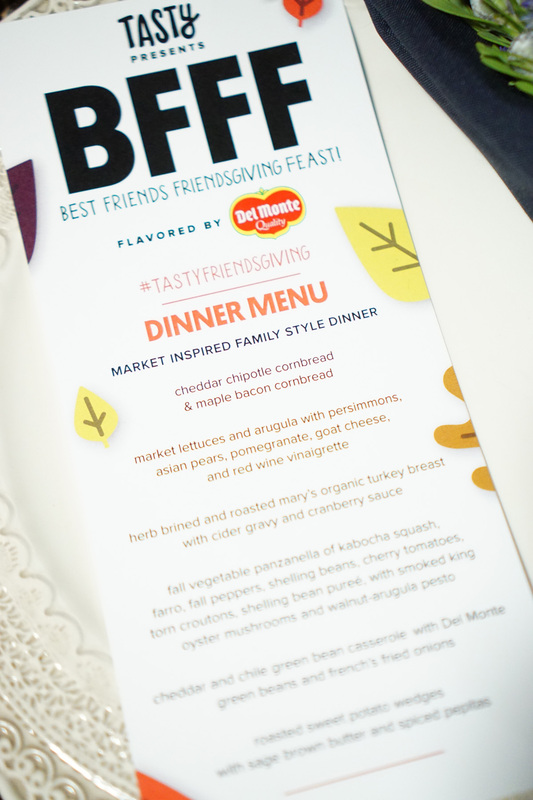 Best Friends Friendsgiving Event with Tasty, Del Monte, and Tiffani Thiessen! 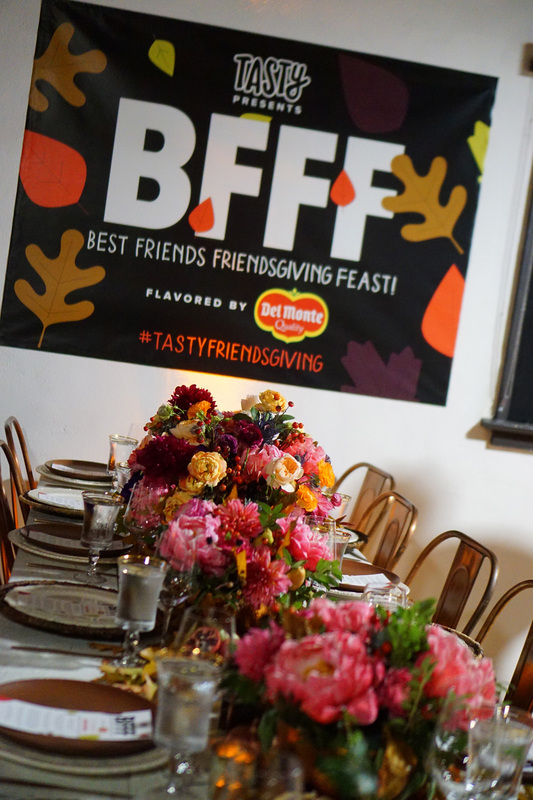 Last Thursday I had the opportunity to attend a Best Friends Friendsgiving Feast thrown by Tasty and Del Monte® at BuzzFeed LA in Hollywood. Even at a quick glance of the invite I knew this was going to be good. 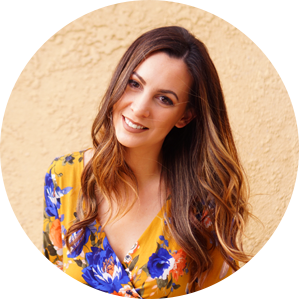 I’ve spent hours watching Tasty videos and gaining inspiration for future meals that would be recreated in my kitchen using ingredients from wholesome brands like Del Monte. 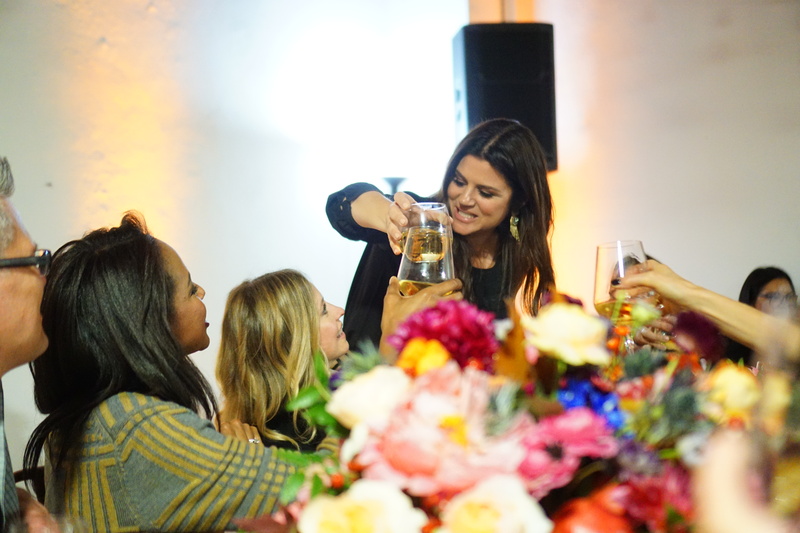 Did I mention that the hostess of the evening was Tiffani Thiessen aka Kelly Kapowski from Saved by the Bell? 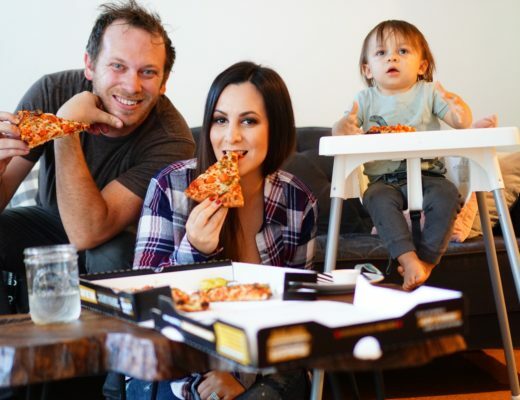 If you’ve been living under a rock then you may have missed that she has her very own cooking show called Dinner at Tiffani’s so she knows her stuff. I brought along my good friend Becca whose favorite holiday just so happens to be Thanksgiving and we embarked on a night of culinary awesomeness after hitting the photo booth. 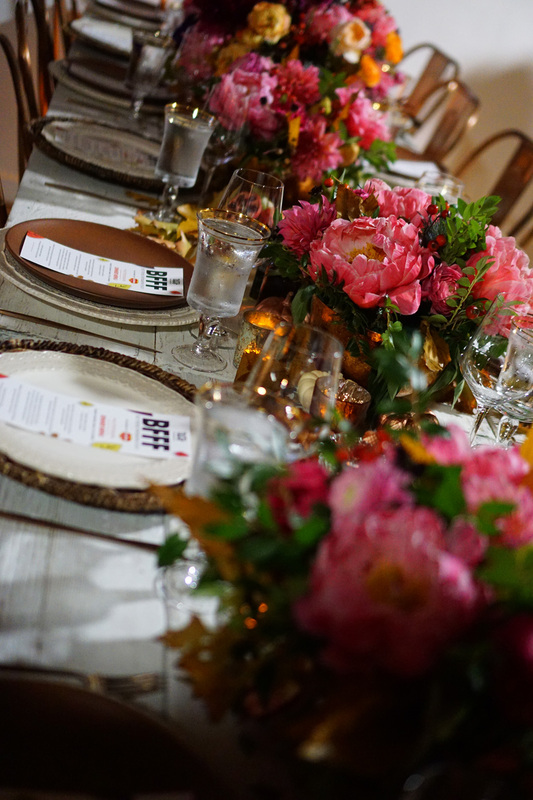 Then we created our own napkin setup for the dinner table using fresh herbs, dried flowers, and twine. Dishes were passed family-style after Tiffani gave a speech that really resonated with me about how people in LA really embrace their friends around the holidays because not everyone is lucky enough to live near family to celebrate with. Every year come end of November we cook a full traditional meal for my family of 3, and we eat the same food for about a week, never getting sick of anything because a Thanksgiving meal is the best kind of meal. This take was no different. Let me give you a peek at the menu of the night. 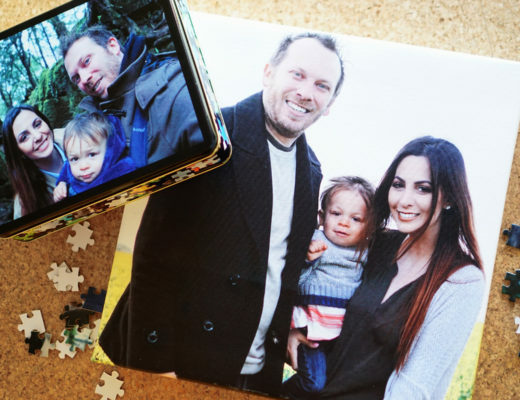 There wasn’t a single thing that I didn’t absolutely love — and I do mean love. 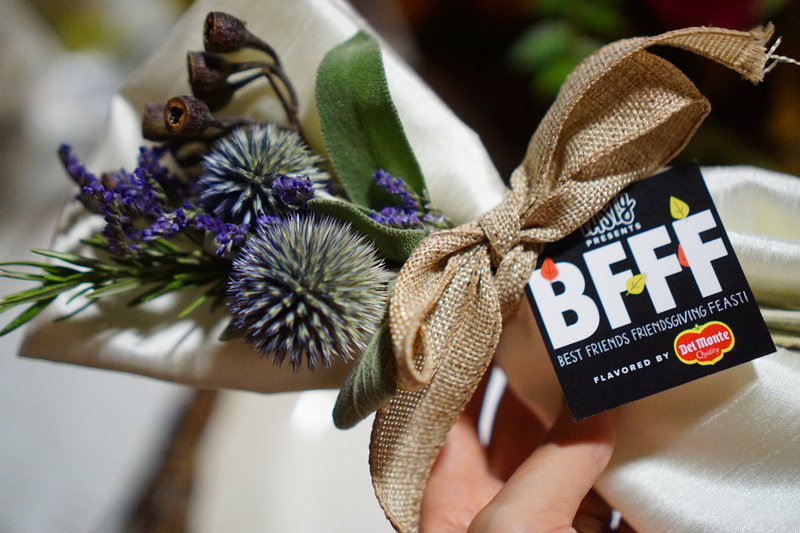 All menu items were created with Del Monte’s quality fresh-picked veggies. Afterwards we dug into a table of desserts including cream cheese pie that Tiffani explained is her mother’s recipe. I tried to keep my cool when she put her hand on my shoulder and snagged a picture of the pie — I was wholeheartedly fangirling! 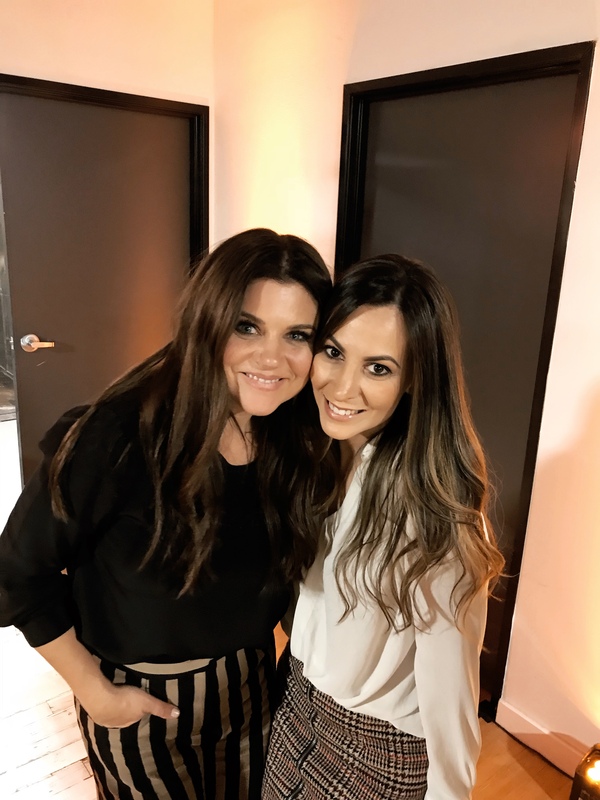 She was so down to earth and we chatted about her speech and my hometown, Buffalo, NY. 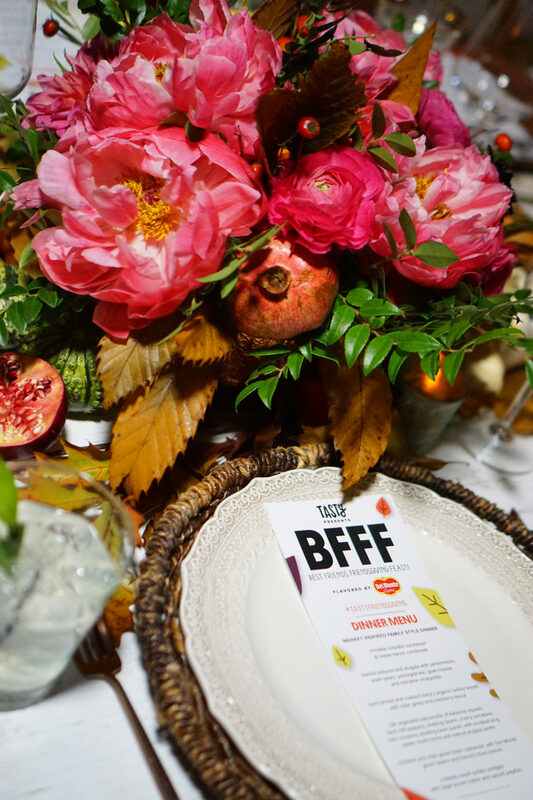 And because being thankful goes hand in hand with the giving season, Del Monte® at it again donating to Feeding America, which is a cause I recently spoke about a few blog posts back. 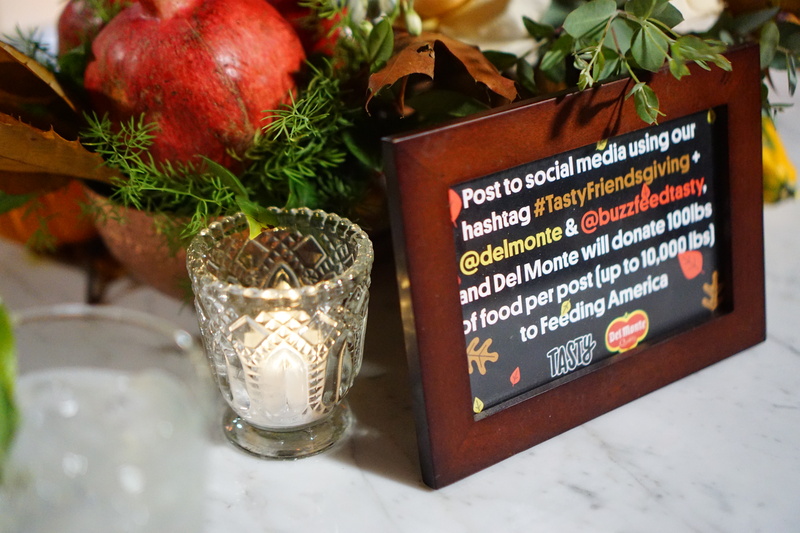 If you’re interested in joining in on doing good, post your photos to social media tagged with #TastyFriendsgiving and BuzzFeed Tasty and Del Monte® will donate 100 lbs. of food per post to Feeding America, up to 10,000 lbs. 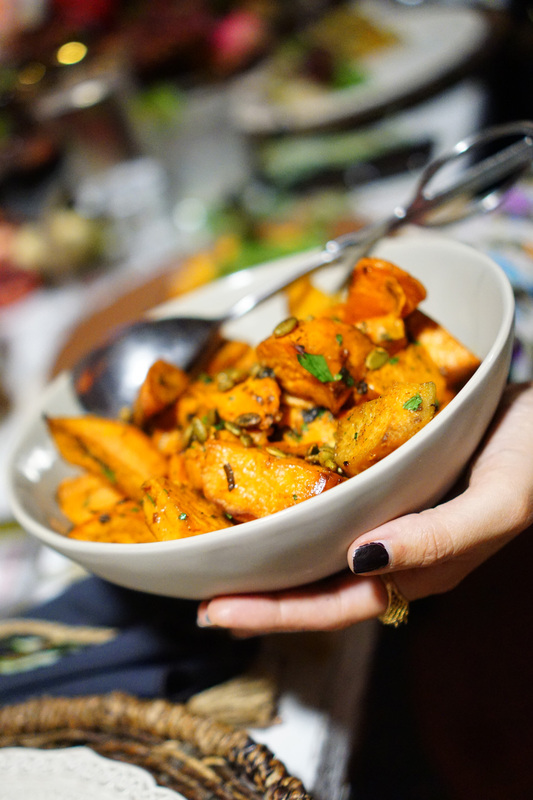 What’s your favorite dish to pass around the Thanksgiving table?